Across one bittersweet weekend in their San Diego neighborhood, the revelers mingle among the palm trees and cacti, celebrating the lives of Big Angel and his mother, and recounting the many tales that have passed into family lore, the acts both ordinary and heroic that brought them to a fraught and sublime country and allowed them to flourish in the land they have come to call home. The story of the De La Cruzes is the American story. This indelible portrait of a complex family reminds us of what it means to be the first generation and to live two lives across one border. Teeming with brilliance and humor, authentic at every turn, The House of Broken Angels is Luis Alberto Urrea at his best, and it cements his reputation as a storyteller of the first rank. This is my confession of love. Big Angel was late to his own mother's funeral. He tossed in his bed, the sheets catching his feet in a tangle. Sweat tickled his sides as he realized what was happening. The sun was upit was bright through his eyelids. The burning pink world. Everybody else would be there before him. No. Not this. Not today. He struggled to rise. Mexicans don't make these kinds of mistakes, he told himself. The House of Broken Angels should be read by anyone who wants to understand the ambiguity of the immigrant experience in general and the Mexican-American experience in particular (Dottie B). I highly recommend this to book clubs; it lends itself to countless discussions of history, immigration, current political happenings, love of family and complications of the human experience (Judy W) (Reviewed by BookBrowse First Impression Reviewers). Though fiction, Urrea's newest is an honest and moving portrayal of how families fall apart and come together during difficult times. Urrea once again captures the anxieties and joys of a family balanced on the borders between generations, El Norte and Mexico, and life and death. A quintessentially American story. Starred Review. Urrea (The Hummingbird's Daughter) has written a vital, vibrant book about the immigrant experience that is a messy celebration of life's common joys and sorrows. Starred Review. Even in death, Urrea shows, we never lose our connection to one another, which is the point of this deft and moving book. Luis Urrea is a mythmaker with the heart of a poet. He is that paradox, a gentle, kind writer who can hurt you deeply with honesty and beauty. I'm glad we have him. 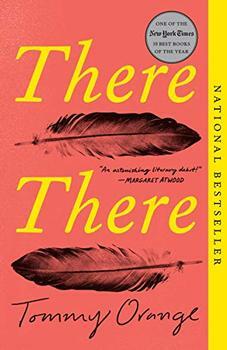 This, the most personal book by the great American novelist Luis Alberto Urrea, is one of the most vivid and engrossing family epics of the last twenty years. Luis Alberto Urrea is a master storyteller, and he delivers a masterwork with The House of the Broken Angels. Stories spin on stories. 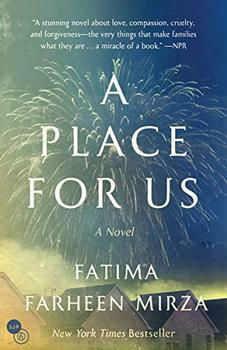 There are lives intimately depicted and fully realized; losses redeemed by love; a dazzling display of narrative fireworks, each little scene a gem; and larger-than-life characters across two borders who cross all borders and become ours. We enter this house of broken angels, and through the magical power of Urrea's writing, we become healed and whole. And we laugh and tear up and shake our heads in wonder all the way to the ending of a book we don't want to end. Urrea delivers on every page. ¡Dios santo! What a storyteller! Bless his capacious heart! Like millions of others, several of the characters in Luis Alberto Urrea's The House of Broken Angels emigrated from Mexico to the United States, some illegally, some following U.S. protocol to obtain permanent residency. Immigration has become a particularly contentious topic over the last few of years but most of us have little understanding of the process of becoming a legal immigrant, so this a good time to take a look at whistle-stop tour through this extremely complex topic.